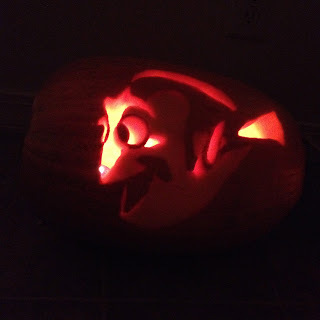 This might be totally random (since it's not near Halloween time at all), but I've wanted to document our Pixar themed pumpkin carving nights for a while. 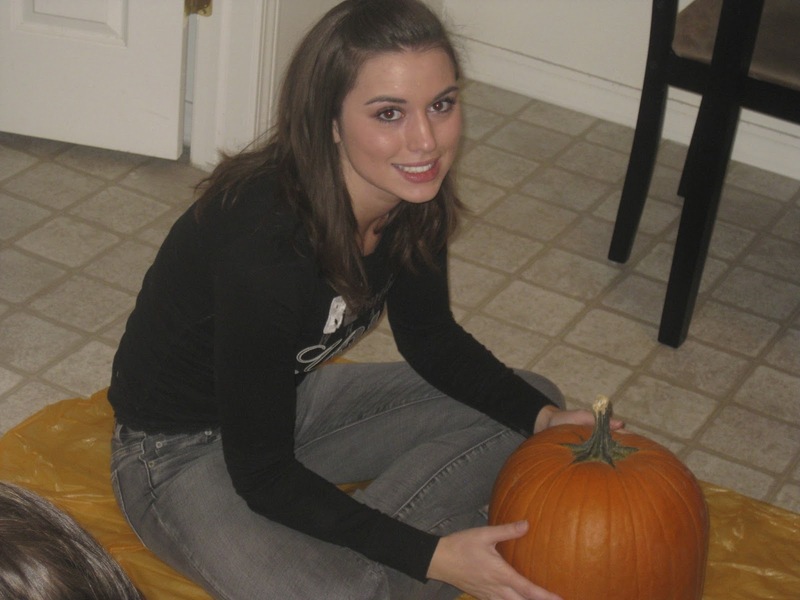 Time for a throwback! 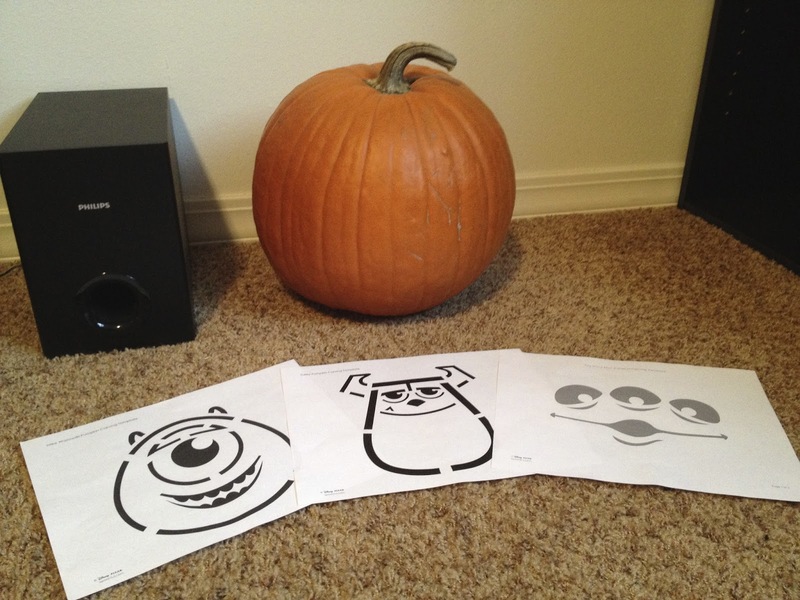 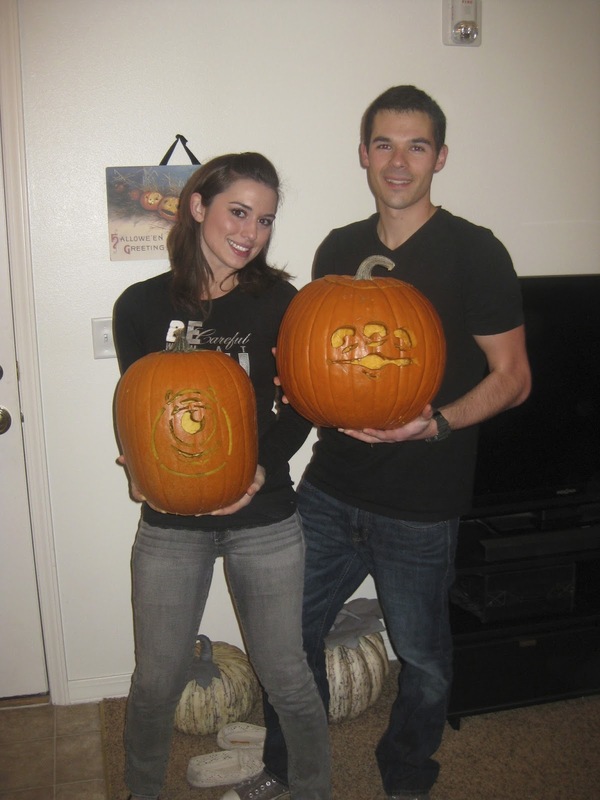 In 2013, I decided it would be fun to do some Pixar related designs when we carved our pumpkins for Halloween that year. 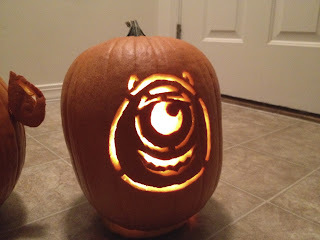 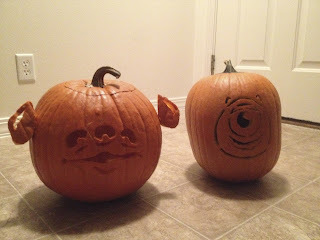 I found some templates online and I ended choosing the Toy Story alien for my pumpkin and my wife Brita chose Mike Wazowski for hers. 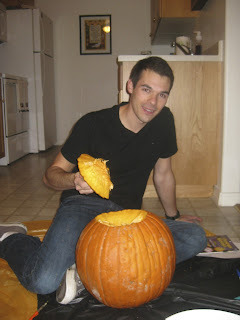 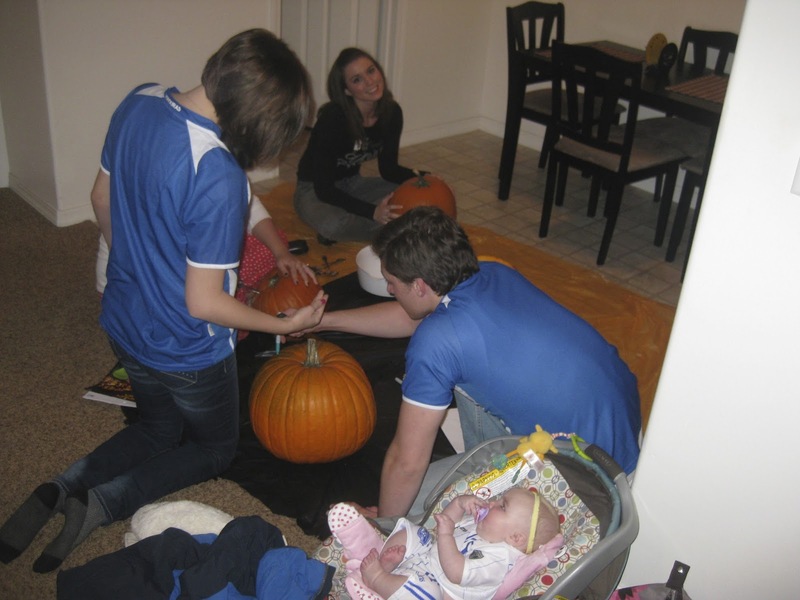 Note: I've always been pretty (really) bad at carving pumpkins (no shame), but I have to give Brita props for being really awesome at it. It's definitely a skill she has! 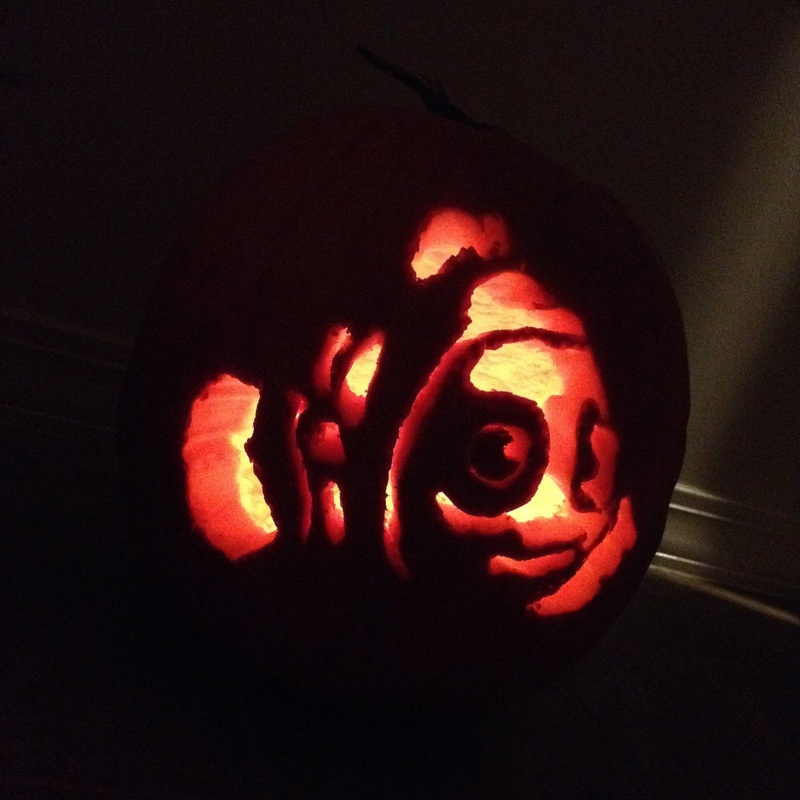 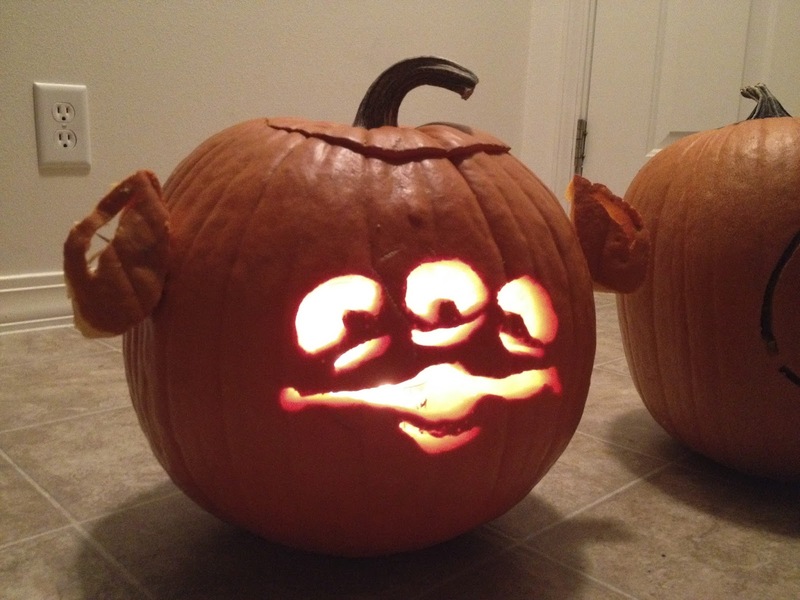 In 2014, we decided to continue the Pixar themed pumpkin carving. It was so fun the year before, we figured we'd try our hands at some more characters. This time, I chose Nemo and Brita did an exquisite Dory. 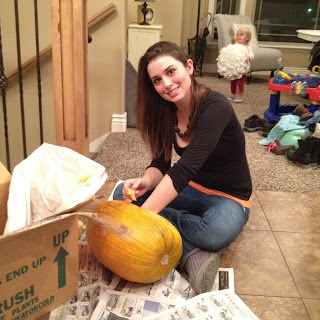 She did such a fantastic job! Thanks for dropping by and be sure to come back daily for more from my personal collection of Pixar merch and memories!